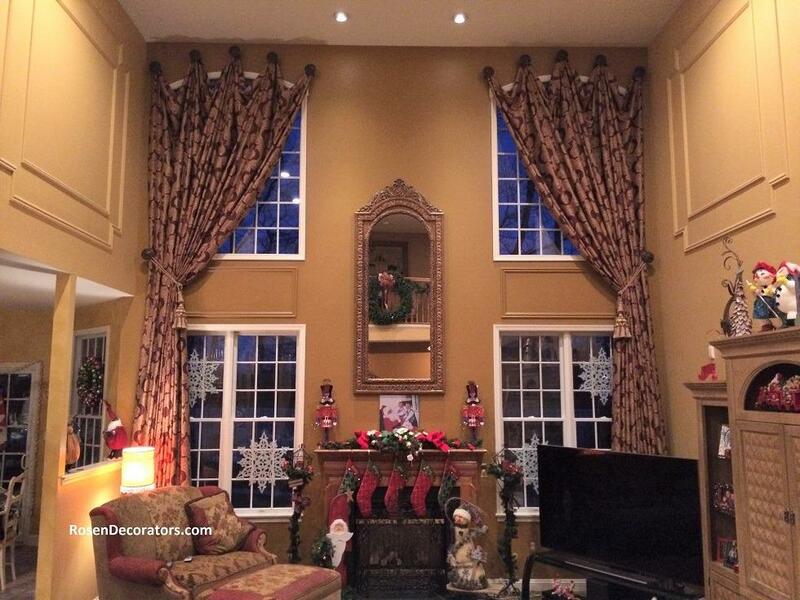 Looking for custom window treatment services in Holmdel, NJ? Rosen Decorators has been offering homes in New Jersey high quality window covering services for over 70 YEARS! With over four generations of experience, we are the experts at fitting and installing custom drapery and valances. Your satisfaction is our main priority, which is why we invite you to visit our window treatment store and showroom. Accompanied by good old-fashioned personal service, our physical store has complete sets of custom window coverings on display. Here you can see, touch, and feel the quality of our products, so you know exactly what you’re buying. We walk you through the entire process from start to finish, because buying online can be frustrating and misleading. On display at Rosen Decorators you will find many different styles of shadings and drapery. It’s our job to match the window covering design you have in mind. We carry a wide verity of patterns, designs, and textures. 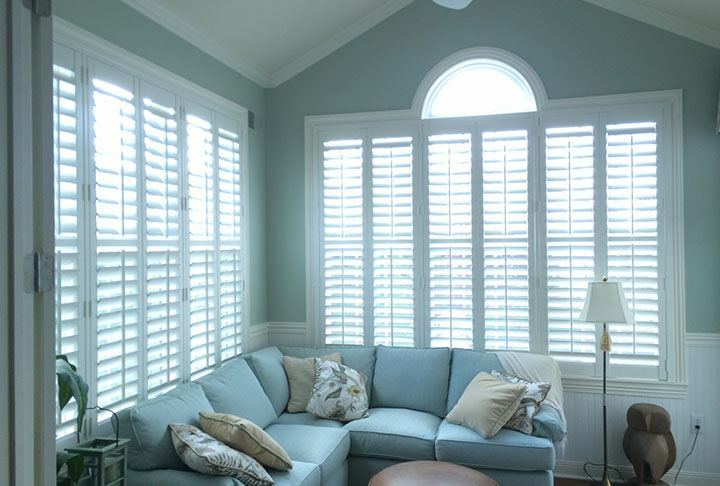 We have blinds, shades, and shutters in styles such as contemporary, traditional, farmhouse, modern, and eclectic. We make sure to work within your budget when choosing the design and materials for your custom window treatment design. Maybe you have no idea what you want your window covering to look like. No need to worry! Our experienced designers are trained to inspire you during a one-on-one consultation. We can’t wait to show Holmdel our selection of shutters, drapery, fabrics, trims, and tiebacks, blinds, shadings, cornices, valances, and double story window treatment options. Throughout the decades Rosen Decorators has successfully served thousands of satisfied customers in Holmdel. Our high-quality professional window treatment installations are based on your total satisfaction. No project is too big or too small for Rosen Decorators. With over 70 plus years of experience we have treated just about every type of window you can imagine. Most companies don’t even offer Double story windows coverings on high windows in family rooms, great rooms, and entry halls, at Rosen Decorators it our specialty. We have an experienced staff that is focused on attention to detail. Our custom window treatment installers will measure your valances, shades, shutters, drapery, blinds, and cornices for a perfect fit. Our customer service simply can’t be beat when it comes to providing window treatment measuring and installation services in Holmdel. Not only do we offer the best in drapery and valances, Rosen Decorators provides Holmdel with the best in premium home décor products. In our showroom you will find a selection of bedroom décor like custom bedding ensembles and upholstered headboards. We also carry a large selection finials, wood and metal poles, drapery brackets, curtain rods and other decorative hardware accessories you could ever need. We even have hand crafted high-end luxury bathroom accessories from famous designers like Mike + Ally. Fill out our contact form or give us a call if you have any questions. We want your inner interior designer creativity to shine while turning your window treatment visions into a reality.